Graceland University men's basketball were unable to contain Missouri Valley College's Larry Plummer (6'2''-G) who scored 32 points in the Vikings 77-71 victory over the Yellowjackets. The loss drops the Yellowjackets to 12-7 overall and 8-6 in the Heart of America Athletic Conference. The Vikings improved to 7-13 overall and 5-9 in conference play. Graceland took the lead 4-0 a minute and a half into the game after field goals were made by Mo Jackson (5'10''-PG) and Justin Harley (6'6''-F). Baskets were then exchanged before the game was within two points at the 16:51 mark. The two teams hen played just over three minutes of scoreless basketball until Alec Pena (6'7''-F) snapped the drought with a basket on a pass from Harley. The Vikings soon tied the game, but back-to back-three-pointer from Cayman Meier (6'0''-PG) and Troyon Butler splashed threes to put GU ahead by six with 11:06 left to play in the half. Over the next few minutes, the margin swelled to as many as seven, but ultimately, the Vikings brought the contest to within one point (24-23) with 4:17 on the clock. As the half came to a close, Garrett Scheighauser's three-pointer in the final minute put Graceland on top at 36-33 heading into the break. As the second half got started, Harley scored to first six points of the half for Graceland to make the contest 40-37. Then on Graceland's next possession, Meier splashed a trey to lengthen the margin to eight points (40-37) four minutes into the half. After baskets were exchanged back-and-forth, MVC used a 9-0 run to take the lead (53-49) just over midway through the half. A basket from Coleman looked to stop the bleeding, however, momentum continued for the Vikings> MVC outscored GU 11-2 to push the margin to 11 points (64-53) at the 6:06 mark. Graceland tried to cut the margin but was only able to get to within six points before time expired. Missouri Valley defeated Graceland 78-71 in the conference contest. 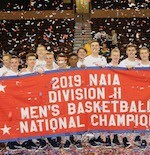 Graceland connected on 28-of-61 (45.9 percent) from the floor, including 8-of-25 (32 percent) from beyond the arc. Missouri Valley made 25-of-65 (38.5 percent) from the field, and just 6-of-20 from three-point range. The Vikings received 22 points off of 19 Yellowjacket turnovers. MVC outrebounded GU 40-39. The Yellowjackets were led by Alec Pena with 19 points. Cayman Meier also reached double-figure scoring with 10 points. Justin Harley was just shy out a double-double with nine points and eight rebounds. Mo Jackson added eight points and four assists. Missouri Valley's offense was highlighted by Plummer who scored a season-high 32 points. Bobby Collins III complimented Collins with 16 points. Tavious Brazil grabbed nine rebounds as Casey Cody-Jackson (6'0''-PG) handed out six assists. 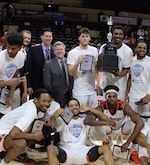 "Plain and simple, Missouri Valley has our number," said Cory Hoff, head men's basketball coach. "They were more disciplined and simply wanted it more than us. It is disappointing to lose a game in that manner with the amount of experience we have on this team. It starts at the top with myself and making sure our team is prepared for the game. Their pressure impacted our offensive execution. It was good to see Alec score it inside and have a double-double for us. We need to be more disciplined and clean up our mistakes if we expect to be playing deep into March. Luckily we have two important home games this week inside the Closson Center." The men's basketball team will return home on Wednesday, January 30th when the Yellowjackets host Mount Mercy. The game is set for a 7:30 p.m. tipoff and it will also be Pettijohn night.